Felice Peretti, the son of a farm worker, was born in 1520 in Grottammare, a town on Italy’s Adriatic coast across the sea from Dalmatia in what is now Croatia/Montenegro. They had emigrated to avoid the persecution of the Turks a century earlier. His uncle, a Franciscan friar, was instrumental in his early education. By the age of nine, he was already studying with the Friars Minor in Montalto where he became a novice at the age of twelve. Peretti rose rapidly due to his immense intellectual gifts. 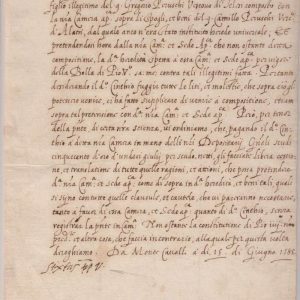 After a brilliant career as a student at Montalto, Ferrara and Bologna, he was ordained at Siena in 1547 and earned a doctorate in theology the following year. He was twenty-eight years of age. In 1552 the Cardinal Protector of the Franciscans took him to Rome where he became known for a style of preaching that was unpretentious and severe. Pope Paul IV, noting his asceticism, made him the inquisitor in Venice. Later, because of his severity, which displeased the Venetian government, he was recalled only to be reappointed by Pius IV. Pius IV also made him the head of his Franciscan order and designated him to accompany Cardinal Boncompagni (Gregory XIII) to Spain. 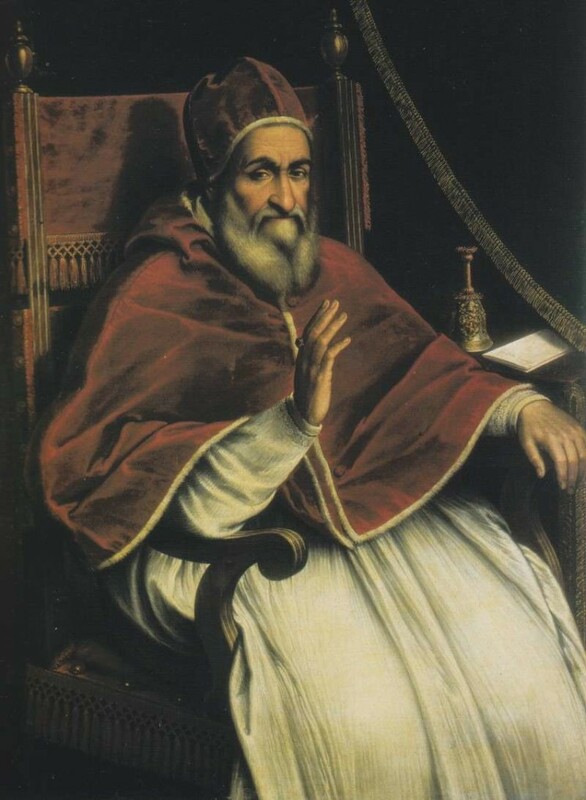 Pius V, himself the Grand Inquisitor prior to his pontificate, was also aware of Perfetti’s strengths and eventually made him a cardinal. He lost favor during the twelve years of the papacy of Gregory XIII. 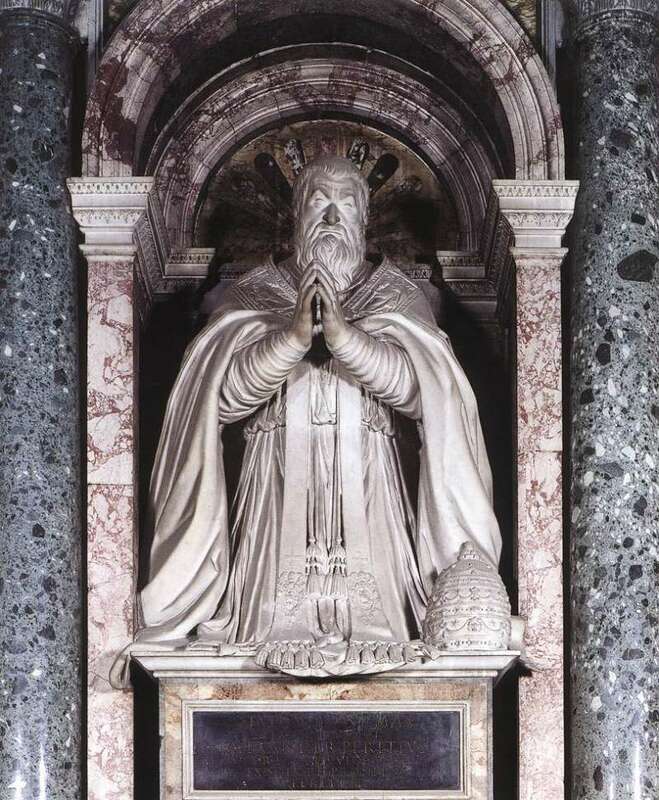 During this time of retirement, he withdrew from Rome to study, editing the works of St. Ambrose. He also erected a villa. 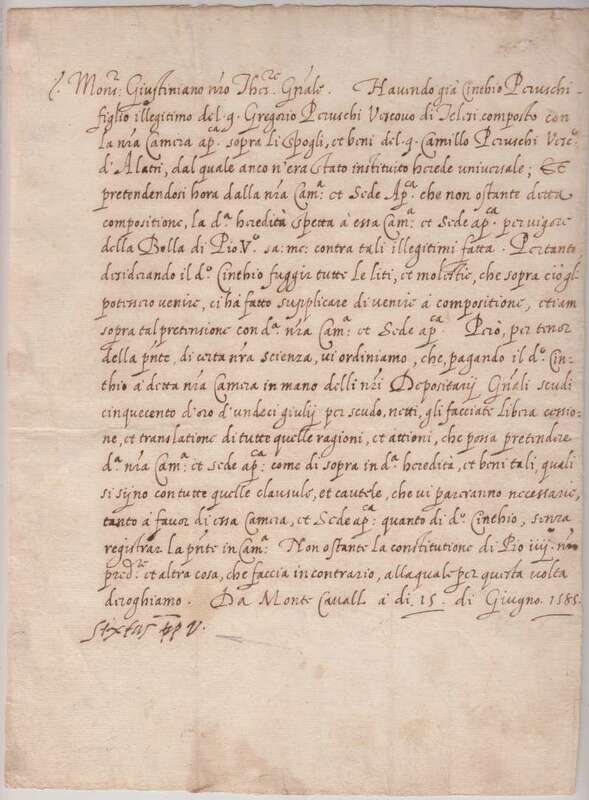 A conclave free from outside influences unanimously elected Perfetti-Montalto, as he was known, in 1585. He took the name Sixtus V in memory of Sixtus IV, who was also a Minorite. Sixtus V was a pontiff born to rule. Known for his energy and stringent policies, he swept through the Papal States enforcing ironclad discipline with often-ruthless authority and excessive cruelty. Italy had become anarchic during Pope Gregory XIII’s reign. The Catholic Encyclopedia states that between twelve and twenty-seven thousand bandits were roaming throughout Italy and terrorizing the people. Sixtus restored order by literally executing thousands of them. If a noble was involved, he died as well. The death penalty was also issued for clerics and members of religious houses who were guilty of breaking their vows. Within two years order was restored and the Papal States became the most secure country in Europe. Sixtus used his incredible managerial skills to reorganize the Church’s central administration. First he fixed the maximum number of cardinals at seventy, a number which held until the pontificate of Pope John XXIII (1958 – 1963). Then, in 1588, he established fifteen permanent Congregations. These Congregations organized the work of the papacy without diluting his authority. 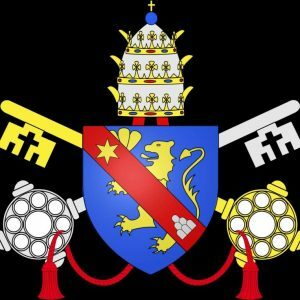 It was a more efficient way of handling the enormous workload of the papacy that had previously been done in consistory with the cardinals. Of the Congregations seven assisted him with administrative work and the remaining eight assisted him in the spiritual matters of the Church. 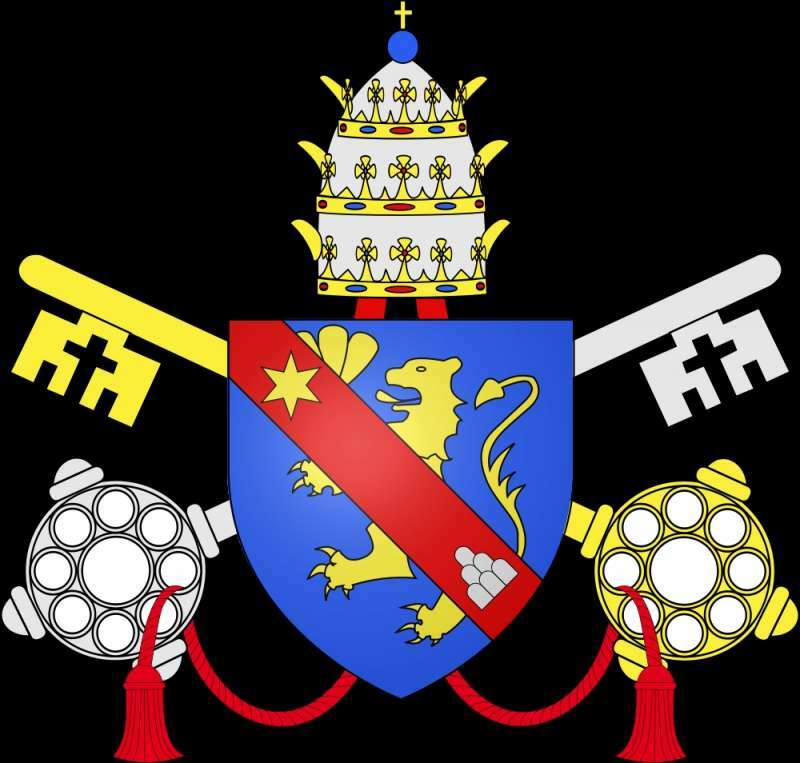 Reorganization of the cardinals also helped to carry out the decrees of the Council of Trent more efficiently. Sixtus restored the custom of ad limina visits by bishops to report on the status of their dioceses. This was considered a turning point in the Catholic Reformation. Next came a reorganization of the finances of the Papal States. While Gregory XIII had emptied the coffers, Sixtus intended to fill them. Acting on the principle that wealth and severity were necessary for good government, Sixtus was able to raise over four million scudi, mostly in gold, by cutting expenses to the bone, by raising taxes and by selling offices. This made him one of the richest princes in Europe. It left him financially beholden to no one. It left the papacy, upon his death, wealthy. Politically, Sixtus had lofty ambitions to annihilate the Turks and to see his nephew succeed to the throne of France. He mistrusted Philip II of Spain but approved of the building of his Armada in order to invade England to depose Elizabeth I whom he had excommunicated. Sixtus had agreed to help fund the Armada if the invasion succeeded. Because it failed, he saved a fortune. Meanwhile his relations with Philip II of Spain and the kings of France continued to improve or deteriorate with one or the other in a favorable position but never simultaneously. In France the issue of the Huguenots, the Protestants, and their right to exist was far from over. Sixtus also promoted missionary work in Japan, China, the Phillipines and South America. An avid patron of the arts and of building and scholarship, Sixtus continued the work of beautifying Rome begun by his predecessors, imaginatively reconstructing the city by widening streets that linked the seven pilgrimage churches and by moving three existing obelisks with crosses crowning them to strategic places. The placement of the obelisks is of particular importance. Brandon Toropov notes that, he went out of his way to embrace…the city’s extraordinary history. Previous pontificates appeared to have viewed Rome’s now-ancient “pagan” heritage as some kind of invitation to heresy. Sixtus, in stark contrast, moved the obelisk of the Circus of Nero into the middle of St. Peter’s Square.. Additionally, he completed the dome of St. Peter’s, rebuilt the Lateran Palace, and built aqueducts throughout the city. He erected the Vatican Library with its adjoining printing office and the wing of the Vatican Palace, which is inhabited by the pope. Significant hospices for the poor were also built. And this is just a partial list of achievements of this pontificate. Sixtus V accomplished all of this in the space of five years. 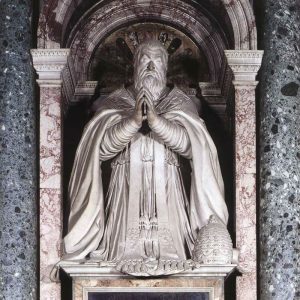 Then, suffering severely from malaria, he died in 1590 and was buried in his beloved church, St. Mary Major in a sepulcher built in front of the mausoleum he had erected for Pope (Saint) Pius V. History has recognized that Sixtus V was the most significant figure in the Catholic Reformation. His reign saw great achievements that cannot be dismissed but upon his death, the people tore down a statue that had been erected in his honor.